Darren Everett Criss, a.ka. Darren Criss, is an American actor and songwriter. He has an estimated net worth of $1.3 million as of 2018. As in 2018, the actor is all set to appear as serial killer Andrew Cunanan in the TV series The Assassination of Gianni Versace: American Crime Story. The 31-year-old is best known for his portrayal of Blaine Anderson in the popular TV show Glee, starring Mark Salling, Demi Lovato, etc. Furthermore, he is actively involved in TV, films, and theater which makes him stand out from the crowd. Here, we are going to share some information about his net worth and career. Darren Criss net worth and earnings. As of 2018, Criss has an estimated net worth of $1.3 million, but back in 2013, his net worth was estimated to be around $3.5 million. We are unsure why his net worth has decreased so drastically within a few years. He is sure earning a hefty salary, but the figures of his pay have not been specified yet. However, some sources claim that his salary is around a million dollars. Apart from his career as an actor, he also earns satisfactory sum through endorsement deals and sponsorships. Moving on to his properties, he owns a gorgeous mansion in Los Angeles which he bought back in 2013 for a massive $1.2 million. He didn't only buy the house but also took his time to make it more home. The mansion was built in 1950 and covers 1,696 sq ft featuring three bedrooms, two bathrooms, walk-in closet and to-die-for interior. After he bought the house, he even made sure to share the news with his fans via a tweet. Talking about his automobiles, he seems to be a massive fan of vintage cars as he owns a 1994-1997 green C class Mercedes, which he shared that he owned during an interview. Apart from the old school Mercedes, he has also been spotted driving numerous other cars. Darren initiated his career as an actor through stage performing numerous plays like Fanny, Do I Hear a Waltz, Babes in Arms, and many others. He first appeared on the big screen in 2005, in a minor role in a short film, I Adore You. Despite the debut, he continued working on stage, and the second time he appeared in films was four years later in 2009. Likewise, he also appeared in another short film named Walker Phillips. In the same year, he also made his debut on TV through a recurring role as Josh Burton in Eastwick, also starring Rebecca Romijn and Jaime Ray Newman. Following this, he appeared in a most notable role of his career as Blaine Anderson in a popular TV show Glee. During the first season, he appeared as a recurring character but in the following seasons, he was cast as one of the main characters. It is considered his breakthrough role as he did not only gain massive exposure but also was nominated for numerous awards and even won a Teen Choice Awards in 2011 under the category Choice TV: Breakout Star. 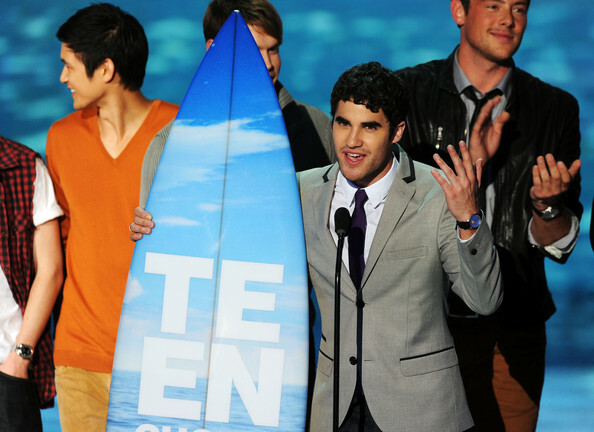 Apart from this, he also shares numerous other awards with the cast of Glee. Apart from the show, he has not portrayed any leading character in a TV show but has hosted numerous shows with A-listers like Lucy Hale. Some of the TV shows in which he has appeared are American Horror Story: Hotel, The Flash, Supergirl, and many others. Moving back to the big screen, throughout the early 2010 and mid-2010, he has appeared in films like Girl Most Likely and also has contributed his voice to characters in movies Stan Lee's Mighty 7, The Wind Rises and much more. Also, let's not forget about his singing career. He has performed numerous musicals throughout his career including performing during a Fundraiser of Barack Obama, E! Entertainment pre-Oscar Show and many others. As of 2018, he is all set to portray the role of serial killer Andrew Cunanan in the TV series The Assassination of Gianni Versace: American Crime Story. The show is being directed by Ryan Murphy, the creator of his breakthrough show, Glee.